Want to mention the product that someone recently purchased in your thank you message? Add some tips for success for a new course registrant or get right into the specifics with new leads? No problem! Using our automations can now pull data fields from your CRM, mailing list or marketing platform along with contact details when customers make a purchase, become a lead or register. 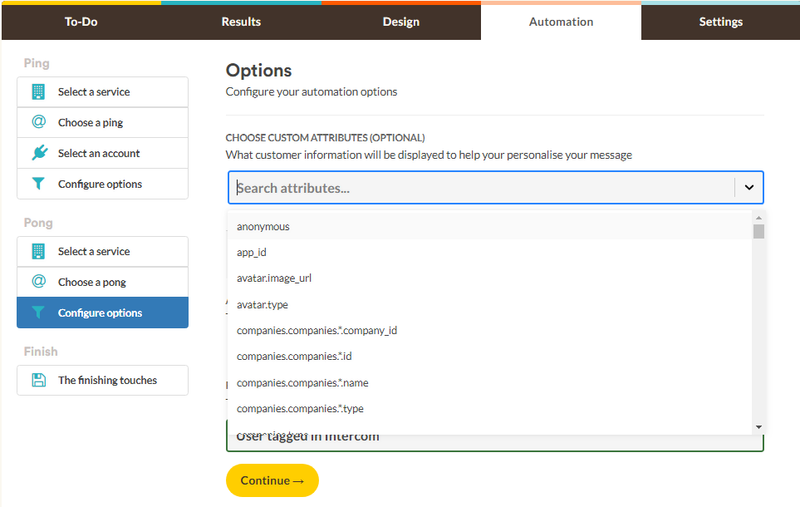 At the Configure options step you can now choose attributes as well as select an assignee and name the automation. Once you have this set up the data for each contact in the selected fields will appear under the 'About' section in the app after you tap on their 'to-do' - before you start the recording step. 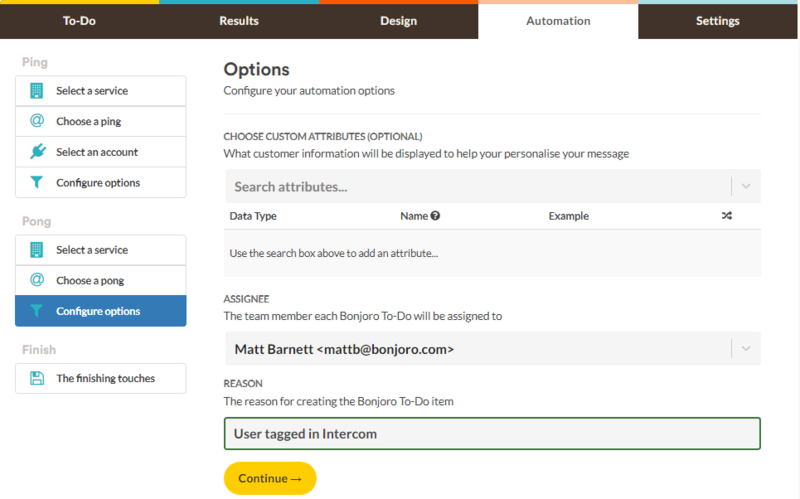 That's it, a quick easy way to add even more of a personal touch to Bonjoro messages when using automations!